I think I like doing two socks at once. It really doesn't feel like it is taking me much longer than doing one at a time. 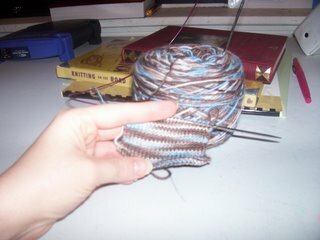 I guess if I put them together, I'd have one finished sock, but I think I REALLY will like having a pair when I'm done. I'm catch that Second Sock Syndrome pretty easily! 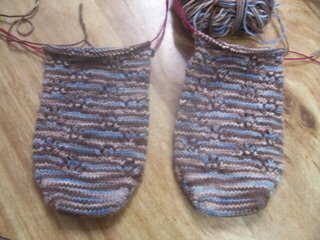 I have another couple of inches to get done before ZooMom and I start working on the short row heel. I better get cracking since we will do that this afternoon! 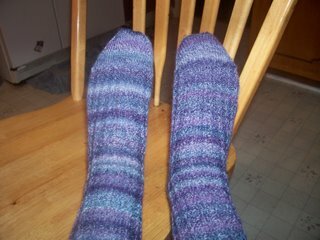 Socks are FINISHED! And I'll be wearing them tomorrow. Can't wait to show them off. 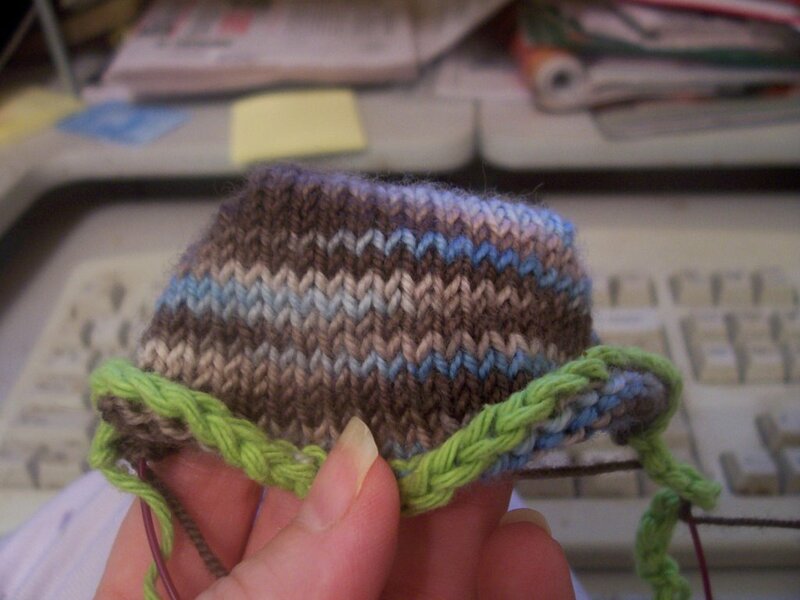 Also here is the first toe to my first pair of toe-up socks. This is what Zoomom and I have been wroking on. We are doing a short row toe....I like it ok, but it sure it tedious. I think I'll try a different cast on for the toe next time....just to see if I like it any better. Zoomom and I started our new sock knitting project Tues night. This is going to be FUN! 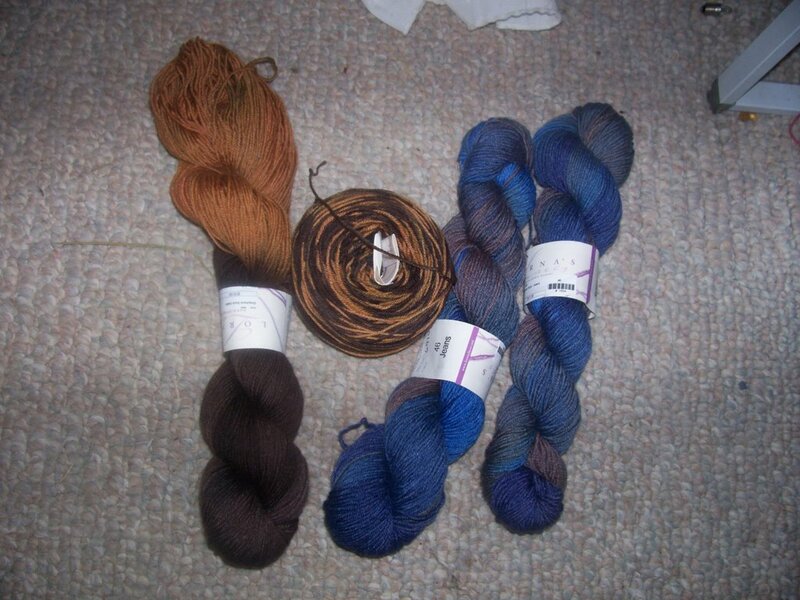 I'm using the tan, brown and blue Socks That Rock down below. We're going to get together again tomorrow and work more on the toe. 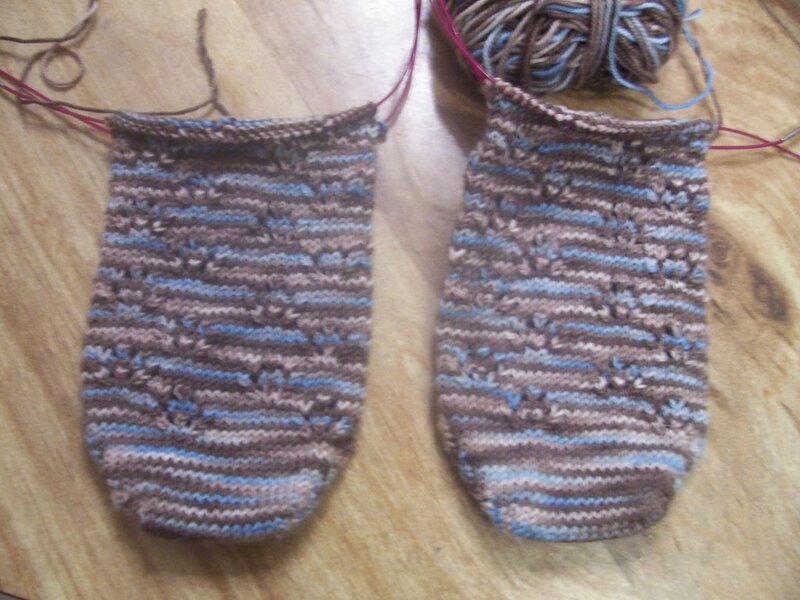 We are doing toe up, short row heels, two socks on two circulars with patterns. Gluttons for punishment, we are! Oh, but it is so much FUN!!! I'll post pictures of the sock in progress soon. The other sock which was started for my friend, but shall remain mine is close to completion. I'll post a picture of that pair in a few days. 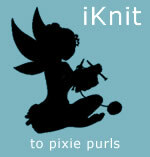 Yesterday I exchanged a skein of Blue Sky Alpaca Organic Cotton and a skein of Cascade Fixation for this. "This" would be Lorna's Laces Safari (on the left) and Lorna's Laces Jeans (on the right). I will admit though that the cost of the cotton and the fixation only bought me ONE skein of Lorna's, but I couldn't resist. Now to find a pattern to go with them. The new sock project I will be starting on Tuesday with Zoomom will be using this yarn...Socks That Rock in the Lucy colorway.